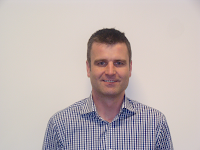 Paul Callaghan is Products Director at Gael Ltd and has been a MindGenius user for many years. It’s Paul’s role to manage multiple projects across multiple department disciplines at Gael. His recent projects include Q-Pulse Version 5.7, Offline Occurrence Reporting and API's, which are all due for delivery in April and were all being managed within MindGenius mind mapping software. While MindGenius was helping Paul get clarity on what needed to be done, he realised resources and tasks where repeated across projects, for example, each required a website update, staff training and support updates. Paul decided to use the new Gantt view to get a more specific view on task due dates. Firstly, he pulled the three project maps into one and added key target dates, eg mid month/ end of month and resources within the map view. When he then switched to Gantt view he scheduled tasks, linked tasks, and outlined dependencies. The Gantt view enabled him to get more refinement of dates and resources. Additionally, he could see at a glance the relationship of tasks to each other and how they impacted each other. Whereas the map had offered him clarity on what and how tasks needed to be completed, the Gantt view offered additional clarity on final timings and scheduling. Paul’s overall project management activity became focused more on and driven by the Gantt view, which in turn made milestones more visual and manageable. Fig 1 Gantt view using Map Explorer to focus in on the Services section of the overall project. Click on image to get full screen view. To find out more about the Gantt view, please visit http://www.mindgenius.com/videos/gantt.html. Using MindGenius for project management traditionally may have included gathering lots of project “commentary,” for example on how tasks should be completed, or important factors to consider. This was Paul Callaghan’s experience, and meant that when he switched to Gantt view the additional commentary about the project was added as tasks in the Gantt view. The resulting Gantt view contained only actual tasks, while the commentary was still relevant and visible in the Gantt view via the notes pane. Have any users stories they would like to share on how they are managing projects in the new Gantt view? On March 30-31st Girton College, Cambridge, opened its doors to over 130 Disabled Student Allowance needs assessors, disability practitioners, assistive technology suppliers and speakers for iansyst’s first national assistive technology assessors conference – Assess2010. With two days packed full of seminar sessions and networking opportunities Assess2010 was the perfect place to discover the latest assistive technology solutions, find out the latest information from the Student Loans Company and share ideas with peers. MindGenius are pleased to announce the release of a new education focused video demo which is ideal for those new to MindGenius, including pupils or students who may be new to the concept of mind mapping, or for colleagues who are new to MindGenius mind mapping software. The video only lasts for around 5 minutes and covers the basics of how MindGenius can help in Education and looks at how to build a map, how to format a map and make it memorable for studying, using MindGenius for research, as well as a brief look at other key features for education. Do you use MindGenius at work? We also offer an Academic version, available to purchase for use at home and ideal for studying for exams. Find out information on special educational pricing at http://www.mindgenius.com/store/education.aspx. In testing economic times, sales departments have more of a challenge on their hands to maintain sales figures, let alone improve upon them. With this in mind, The Times recently (March 24th) produced a supplement which focused on ways to improve sales performance. This included new ways of undertaking Sales presentations with “Selling: presenting rights and wrongs” taking a look at different presentation methods, including how MindGenius is helping sales staff at Birch Worldwide. Tony White, Managing Director of Birch believes MindGenius mind mapping software energises the creative process behind building sales presentations, and allows sales staff in the UK, Singapore and California to collaborate in virtual meetings. They work together to build a visual representation of the major and minor topics that need to be included in the presentation. Using MindGenius, the sales team can concentrate on relevant ideas and themes and leave the formatting of the presentation until the key messages and content are complete. Many team members also prefer to present from MindGenius and find that clients are intrigued by the different approach. This method allows client comments and observations to be captured on the map so everyone is clear on objectives and requirements. Do you have any tips on improving sales presentations? Many people who have used MindGenius, may have used it for planning and to generate more creative ideas but may not realise how it can also be applied in the financial planning arena. One company who is doing this is BSG Valentine, a London based firm of chartered accountants. ‘Using mind mapping software helps you see the whole picture and clearly,’ says Simon Poluck, partner at BSG Valentine. The firm has used it to scrutinise client finances, considering possibilities on how cost-savings can be made. This ranged from reducing sales and marketing staff, through halting orders, to curtailing foreign travel and evaluating the effects of foreign exchange rates. After this, a decision is made on how to balance the books without cash flow eating into the reserves and potentially causing serious problems. Now that the economy is changing, BSG Valentine is also using MindGenius to help businesses become reinvigorated. ‘It is important to provide clients with a clear strategy and plan going forward if they are to respond to the recovery effectively’ says Simon, and MindGenius allows him to provide a visual representation of a financial strategy which links together all of the disparate client information from different sources. ‘I start by creating a list of the areas where a client has changed their operational habits, and then compare the figures in these areas and last year’s accounts, to identify the areas where changes and cuts have been made.’ All of this information is placed on a mind map to help identify where cut backs could be regenerated, and to identify what internal processes worked and what efficiencies were gained. After Ed Hreljac's popular article on decision making in the January edition of More MindGenius, Ed has returned with a look at Structuring Complexity. Mind mapping is an effective way to gather information, organize it, communicate it and manage it. Any information gathering exercise, like brainstorming for example, can present large amounts of unstructured information resulting in complexity. We face the challenge of how to organize it. The most successful method to manage complexity is hierarchical structuring. “Large organizations are almost universally hierarchal in structure. That is to say, they are divided into smaller units, which are, in turn, subdivided and so on... The near universality of hierarchy in the composition of complex systems suggests that there is something fundamental in this structural principle that goes beyond the peculiarities of the human organization... Hierarchy is the adaptive form of finite intelligence to assume in the face of complexity”. Research in cognitive psychology has repeatedly demonstrated a concept called >channel capacity which refers to the amount of space in our brain for certain kinds of information. In his famous essay, "The Magic Number Seven" renowned psychologist George Miller concluded: "There seems to be some limitation built into us either by learning or by design of our nervous systems, a limit that keeps our channel capacities in this general range". A range of 7 ± 2 is considered to be a generally acceptable limit for our human intellectual channel capacity. Combining the principles of hierarchic composition and limited channel capacity results in a general guideline for creating mind maps. Mind maps are best constructed by organizing information, thoughts or ideas hierarchically into parent and child branches. We recommend a limit of 9 child branches below any parent branch. Limiting the child branches is not always necessary or even possible, but it is a helpful guideline. Hierarchical structuring presents numerous advantages. Navigating the mind map becomes much easier, whether using the Map Explorer or the Focus Button (F6) in the Map Editor. When brainstorming the map with a group, individuals’ thoughts seem to be more focused and organized. When used for presentation purposes, the map is communicated more clearly and quickly. When ‘tasks’ are assigned within a map, the resulting Gantt chart is more clearly understood and more effective. For very complex and large maps, remember to use the ‘linked maps’ feature, another form of hierarchical structuring. We find this especially helpful when different people contribute to the development of the hierarchical structure. Linked maps allow sub-maps to be changed and developed without impacting maps at higher levels of the hierarchy.